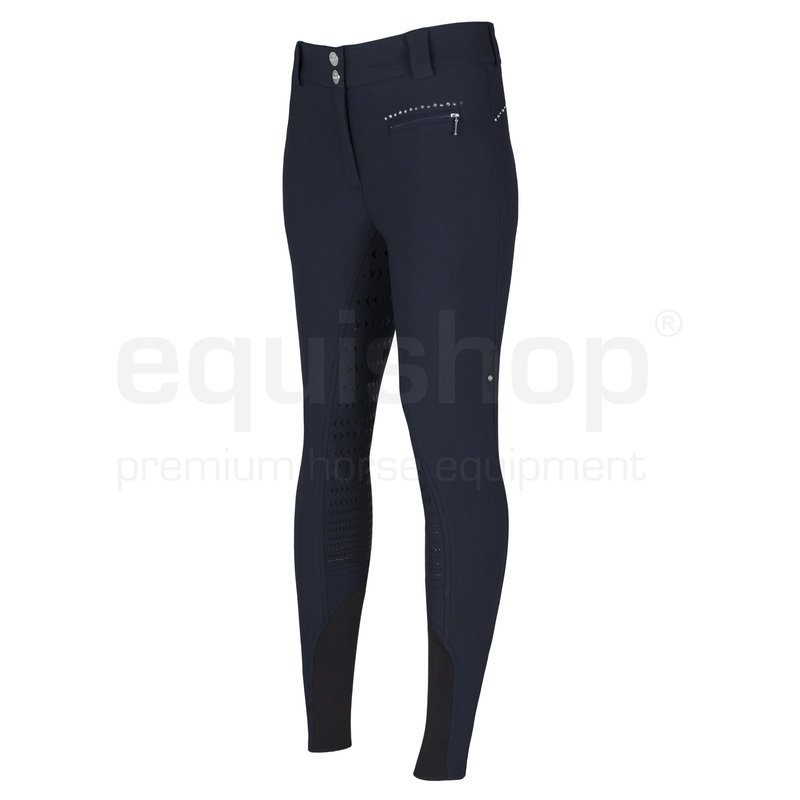 Ladies' breeches with full silicone seat and a unique pattern. They are made of the highest-quality elastic material that stretches in all four ways. Comfortable and breathable. They perfectly fit to the body. Their legs have elastic inserts at the bottom. 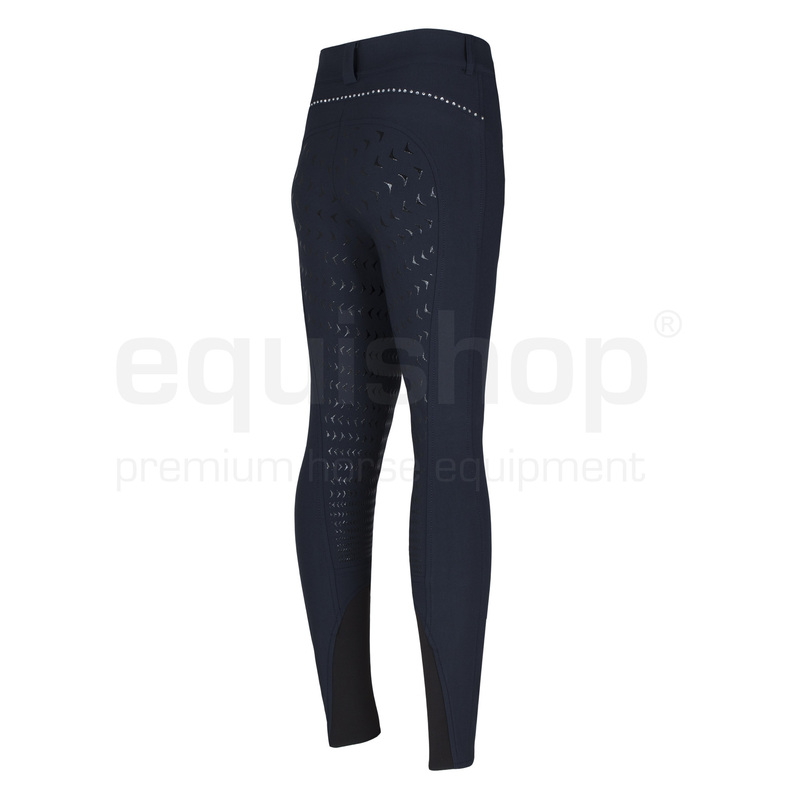 These breeches are decorated with shiny crystals. Italian sizes are oversized, for example: italian 38 is German 34 and italian 44 is German 40. Please take a look at the size chart before ordering.